Tent or tarp? Or maybe just a bivi bag? There are several ways to sleep out in the wilds. 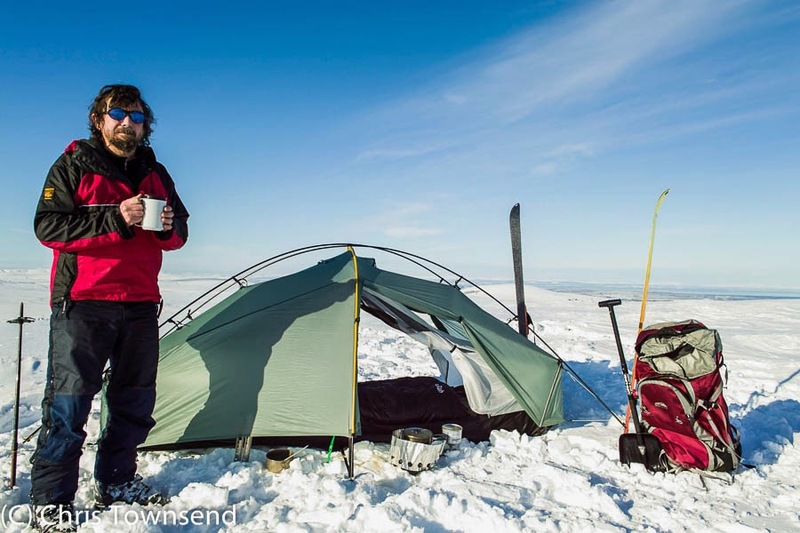 Recently there has been a debate on several outdoor blogs arguing that one or other is in some way superior or better than the others. I think this is nonsense. They all have their place and it comes down to personal preference and, often, the conditions. Many years ago a friend and I did a two-week trip in Yosemite National Park. The weather was calm and I slept out under the stars in just my sleeping bag every night. My friend slept in a double-skin tent with the inner and outer doors zipped shut. We were both happy, which is what matters. My preference is for the most minimal shelter that will be comfortable in the conditions expected. Ideally I would always sleep out in just a sleeping bag. However if there is more than a slight breeze, if bugs are biting or if rain is falling or likely to fall then sleeping under a roof makes life easier and I want my camping to be as trouble-free as possible. I prefer tarps to bivi bags as there’s more living and storage room, which is important when it’s stormy. And if it’s not stormy I don’t need a tarp or a bivi bag. 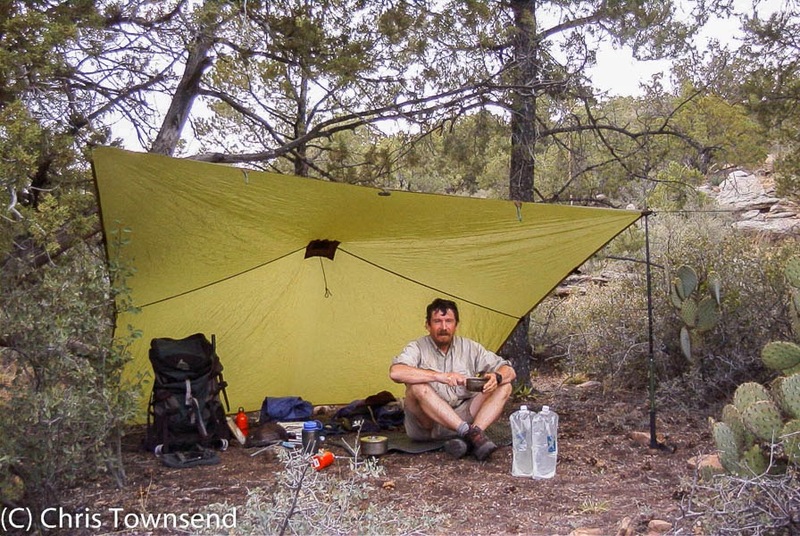 I like big tarps too – ones where I can sit up, cook inside, store all my gear and keep away from any rain that comes in under the edges. Small tarps can be uncomfortable. I remember a night in one high on Ben More Assynt in the Northwest Highlands. A wind sprang up overnight so I lowered the tarp so the perimeter was close to the ground, which stopped the wind ruffling my sleeping bag. However that meant I couldn’t sit up and couldn’t use the stove under cover. 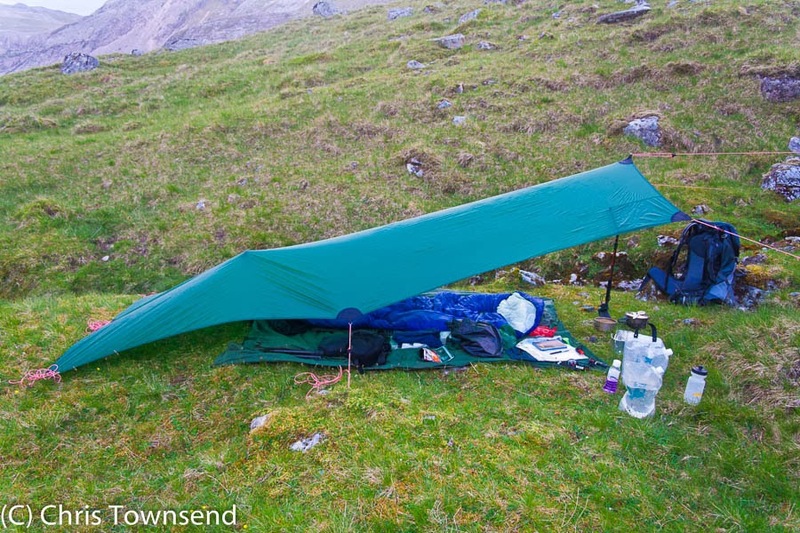 The tarp fabric hit my sleeping bag too – I couldn’t decide which was worse, flapping nylon or the wind. I slept badly and the camp was not enjoyable. I expect camping to be comfortable and fun, whatever the conditions. I’m not out there to suffer. Tents have two places in my camping trips. The first is when snow is expected. Then a double-skin tent can keep snow from blowing all over you and, if a strong design, stand up to the weight of a heavy fall. That said, I have sometimes used a single-skin floorless tent in winter and dug the perimeter into the snow to stop snow blowing in when it's windy. Indeed, on a ski tour across the Sarek National Park in Arctic Sweden I did this for two weeks. Again personal preference came into play as my two companions were so dubious about the security of my single-pole floorless shelter that they chose to sleep in a much smaller geodesic dome tent, leaving me to the vast space of a three-person shelter. The second situation when I regard a tent as essential is when insects are biting. Head nets, closely woven clothing and repellents may all protect against being bitten but they don’t stop midges buzzing round your head in clouds and the first two can be hot and stuffy. I much prefer being able to sit inside an insect-free tent. In calm dry weather just a mesh tent is adequate. 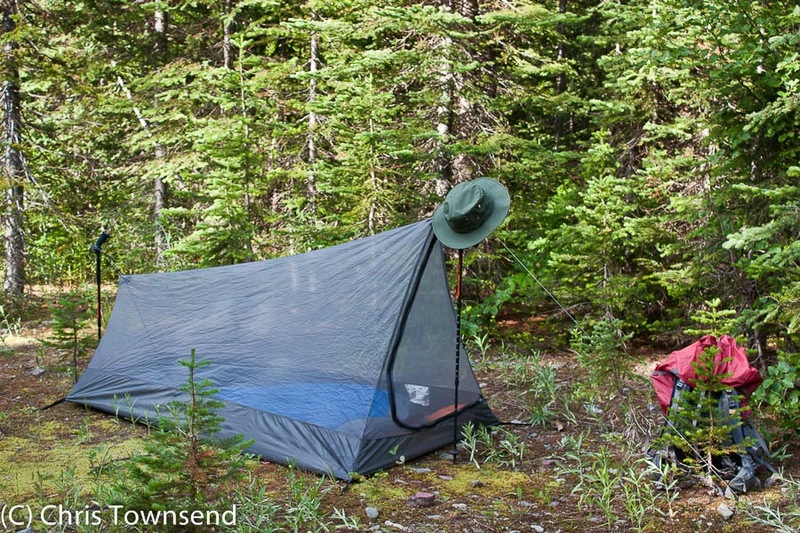 On the Pacific Northwest Trail I often just pitched the mesh inner of my tent when mosquitoes were likely and rain wasn’t. 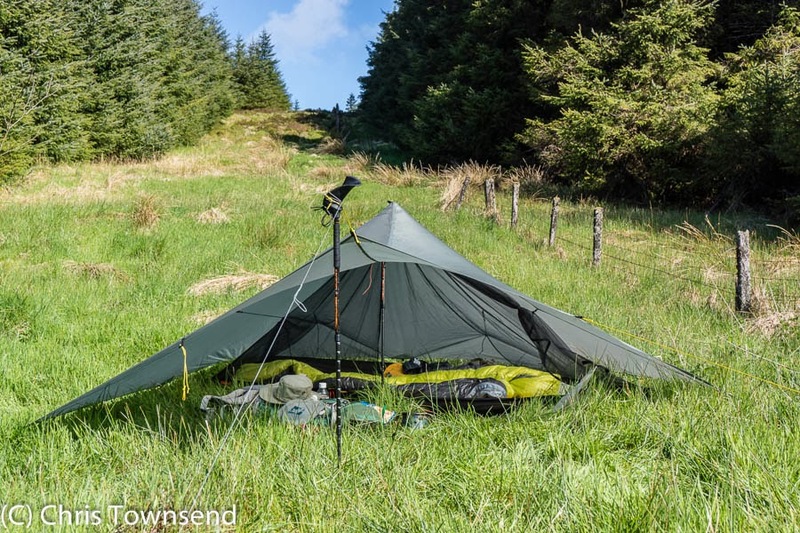 There are mesh inners available for some tarps and single-skin floorless tents now, which I intend trying this summer to see if they make these shelters usable in midge season. (Note: And I did, with success, resulting in my using such a combination on the Scottish Watershed walk this year). GoLite Shangri-La 1 used without inner. The doors stayed wide open all night. When the midges are swarming or wind-driven rain is battering the tent being inside with the doors zipped shut can feel very secure. However doors don’t always have to be closed. 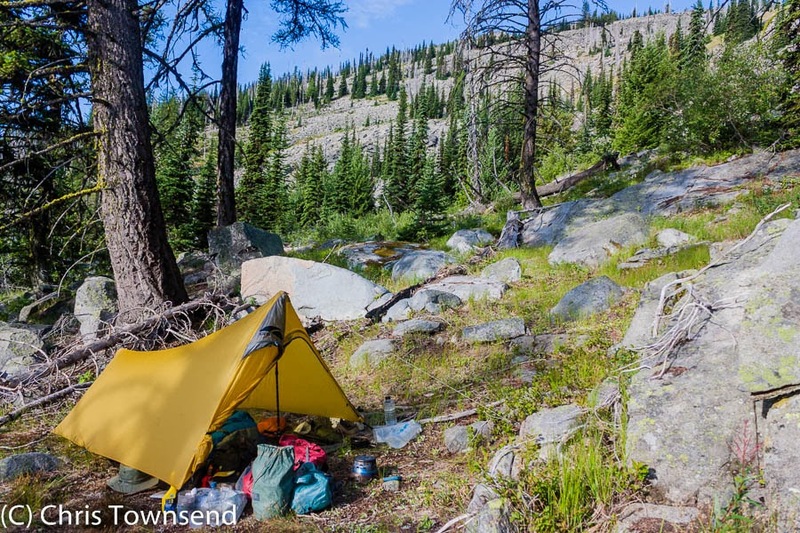 One of the arguments I’ve read about the supposed superiority of tarps is that tents cut you off from the outdoors while tarps keep you in contact with nature. Actually this depends on how you use a shelter and not what style it is. I only close the doors of a tent when insects are biting or rain or wind is blowing in. 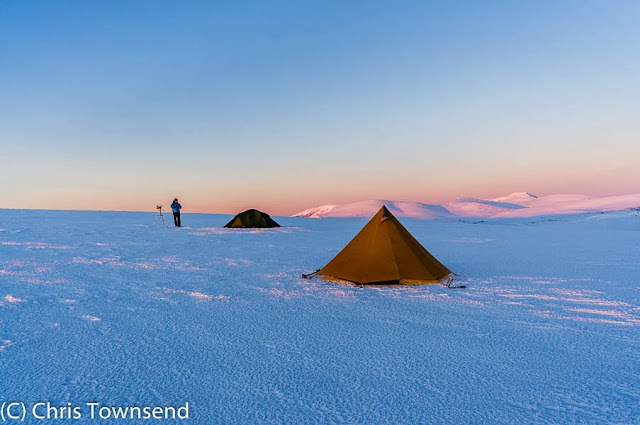 This applies even in very cold weather – the tent is to keep off the weather. Warmth is provided by my clothing and sleeping bag. I like tents with big doors too so when they are open I have a wide view. I don’t want to be out of touch with the outside but I do want to be able to keep the outside from getting inside if it turns nasty. Often, I’ve woken during the night to feel rain or wind on my face and have only then closed the tent doors. Midges are a more serious threat though and I don’t want to be woken by them biting me so I always close the inner tent door when they are around. To reduce the feeling of being enclosed I like tents with mesh inner doors or at least mesh panels in the door so I can still see out, if somewhat hazily. All good stuff. I love my Scarp 1, including its large doors. Only just discovered bivvying this year though and I do love those moments in the middle of the night when I wake briefly, perhaps to turn over, and catch a glimpse of the night sky, stars, moon, sunrise etc. I think that even the best tent isolates you more. Any experience of the Six Moon Designs Lunar Solo?? 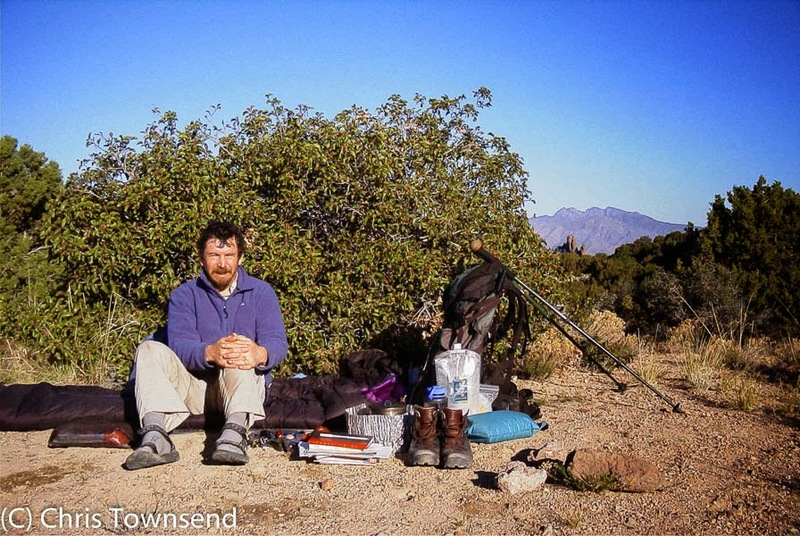 "Recently there has been a debate on several outdoor blogs arguing that one or other is in some way superior or better than the others. I think this is nonsense "
Great article. Can't wait to see the Cairngorms in winter film. Excellent post, I actually found it quite humorous. 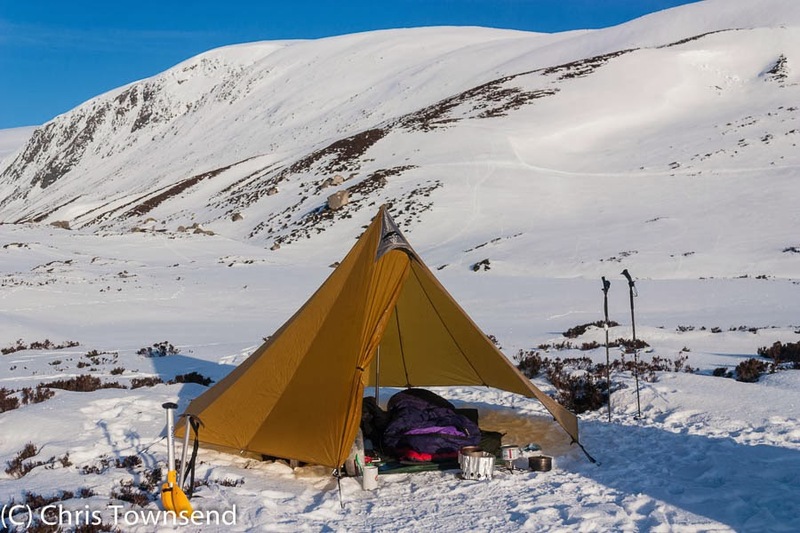 I have a Hilleberg Akto tent which is strong, light and has given me great service over the years. I also love tarp camping for the flexibility it offers. I'm still experiencing with tarp/ bivi combinations to find what suits best but am very impressed with my big Hilleberg tarp for size and weight.